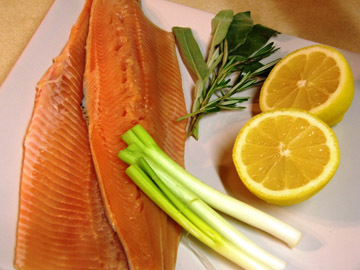 First, remove all skin from the Trout fillets. Dry the fillets on paper towels. Get a skillet hot and buttered. Drop in the sliced onion and cook until softened and tender. Pour in the milk and add the brown trout fillets. Simmer over a medium flame, 5 to 6 minutes on each side. Turn the fish only once. Take the fish off the heat and add cornstarch slowly to the milk/onion compote to thicken it (this is called a roux, fellas). Pour this sauce on top of the fish. The lemon slices are a garnish. So garnish the dish and serve it up. ENJOY! Combine sugar with the vinegar and the soy sauce. Boil lightly, then add your tomato wedges, onion wedges, bell pepper slices and the crushed pineapple. Mix the cornstarch with the water. Mix thoroughly and add to the sauce. Cooking will thicken it while you are continuously stirring. After it thickens to you liking, stir in the oil. Grease up a baking dish that has a raised rack in it. Put the fish in a single layer on the rack. Spread the Brown Trout with butter and cover with heavy duty foil. Place in oven for about 20 minutes. Very carefully take the fish off of the rack and drain the drippings (throw them out the door for the birds). Take the rack out of the dish and replace the trout directly on the bottom of the dish. Cover the fillets with 2 cups of the sauce you just made, return the fish, uncovered, to the oven for about a half hour. Can be served with steamed rice, your favorite vegetable and/or a fresh bread to round it out. To add a little WOW! to the dish, serve the fish on a bed of salad greens. The colors will really pop that way and you will look like a professional chef! Bon apetit, my fine anglers! 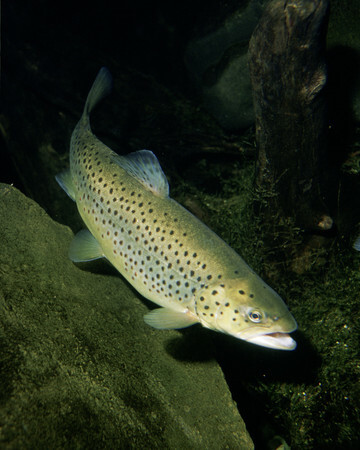 We hope you have enjoyed our Brown Trout recipes. 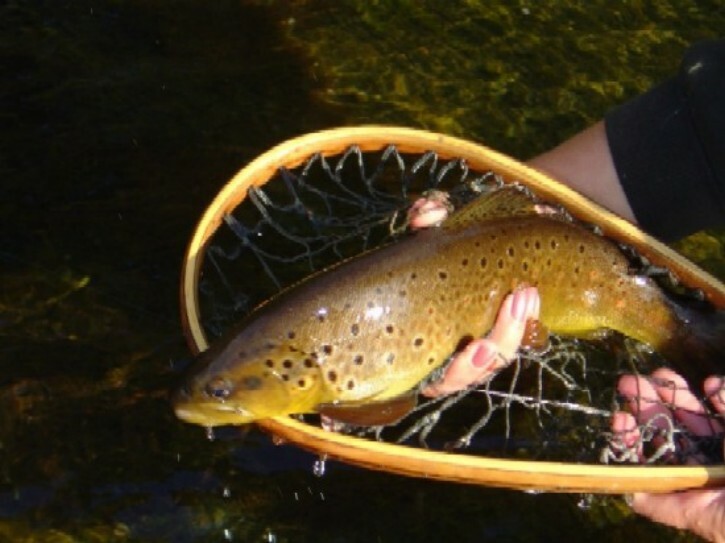 If you have other Brown Trout recipes you'd like to share, please send them to us and we just may publish them.